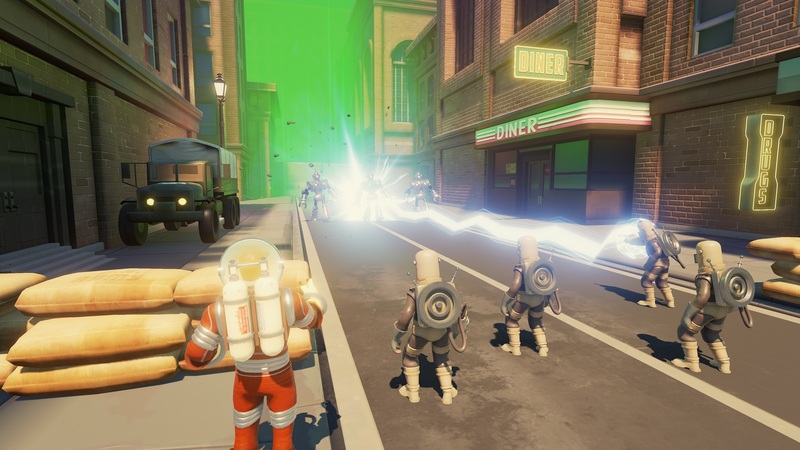 Like something from a 1950’s alien invasion movie, Fortified! comes out of nowhere and makes me enjoy it! Seriously, the game forced me to enjoy myself (my arms all twisted and such). Kind of like the Sanctum franchise, Fortified! is a real-time strategy/tower defense/3rd person shooter. That’s a mouthful, but they pull it off rather well. It’s full of cheesy looking heroes, funny looking robots and a classic military arsenal. I got to play a few rounds at PAX and then I was able to chat up a little more information about Fortified! Check it out and leave your comments below! 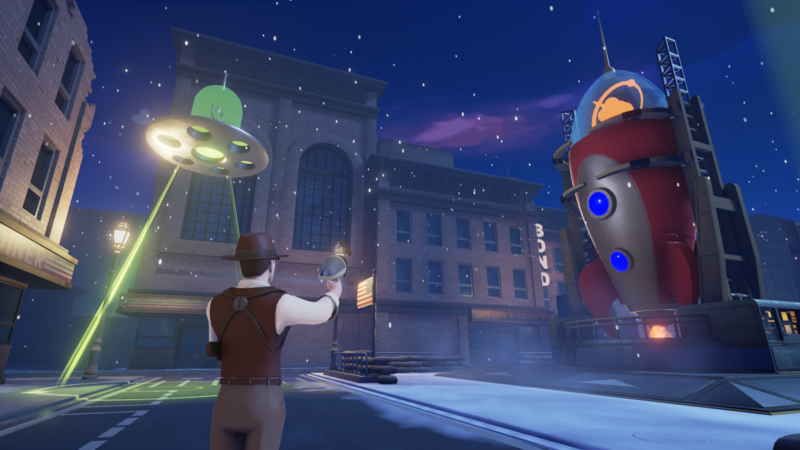 Jonathan Amarelo, Head of The Videogame Backlog: So if you could give a quick rundown of what Fortified! is about. Adam Garib, Lead Artist for Clapfoot Inc.: Sure! 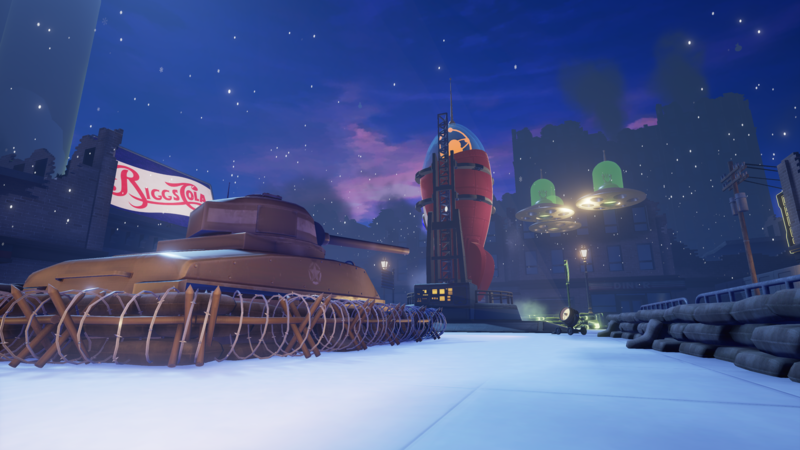 The game’s called Fortified! It’s a four person, online co-op game that takes place in an old 1950’s robot invasion movie. 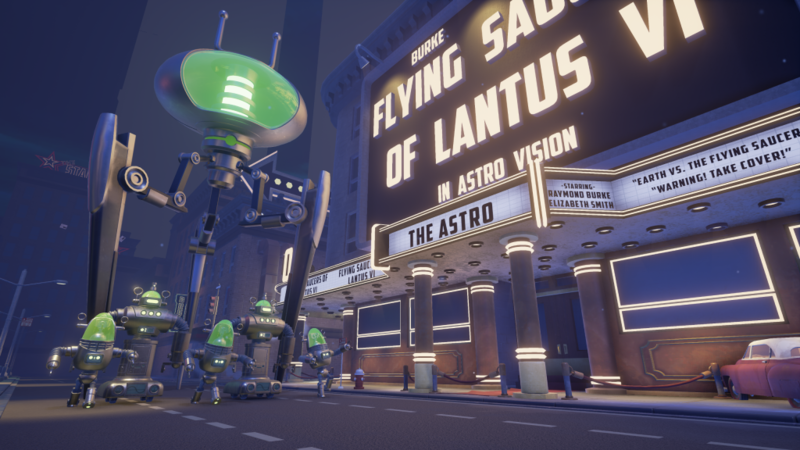 Our goal with this game is to really capture that popcorn action movie feel where we kind of just throw you into the middle of the action and you have to deal with the situation. Up to four person online co-op with four distinct character classes, each with their own specialties, their heroic powers, their weapons, their upgrades and so you and your friends [go] online using each others specialties and different strategies, [to] come up with the best solution to the problem. So it’s a wave-based defense game, but we really rely heavily on the action. So once a wave starts, generally it doesn’t stop. It just keeps going and keeps going. I’m a big fan of World War II games and I really haven’t seen many of those [lately] so what was the reason for you guys going back to that era? Do any of your characters actually wear a skirt? Unfortunately no. The Spaceman in his genesis was Magnus the Robot Fighter, but based on time constrictions and being our team’s size, we couldn’t do the whole melee character running around beating up everything. He basically changed more into the Spaceman as he is now, but he’s in our hearts. *Laughs* I love Magnus: Robot Fighter. You should check it out, it’s pretty hilarious. *Laughs* I think I will, that seems weird enough. So you said there was a single player? Yes, you can play the entire game in single player and you can play up to four players. The same maps that you can play in single… you can [play] both ways. We really want to encourage replayability so there’s over thirty weapons and structures with each of their own upgrades. One choice of an upgrade to choose for each one. Is it an upgrade based on an account or is it a per game you play? It’s an upgrade for your profile, so you unlock the upgrade for that weapon or structure and then when you jump into the game, [then] you choose your loadout of all the weapons and structures that you have. You can then decide, “Oh, I want to use the Tesla grenades, not the fire grenades.” Each of the upgrades may increase damage, but a lot of them are fundamentally changing what the structure does. As an example of which we’ve got infantry in our game, so there’s a function in our game called the unit command system. So once you build infantry you can command them around with the D-pad. You can tell them to move here or defend here, things like that. Unfortunately it’s not working right now, but I can definitely show you the infantry system. Yeh, see that guy with the big rocket launcher? So there’s six type of infantry in the game. There’s a Tesla unit, a sniper unit, a rocket launcher unit, a rifle unit[, a flamethrower unit] and a man in black unit. He’s like a secret agent type thing and they each have their own specialty. They each do something unique and each of the characters can command them around. You can actually micro manage the units around the map. I like playing it, where on a map that has many different spawn locations or defending points, I can actually build infantry, lead them on one side and I go defend another side. If they have leakers, I can tell them to run back to the base or actually I can meet them somewhere like I can meet them in the middle. It’s really a fun dynamic experience. Would it be viable to play solely with the infantry? Yeh, you can do that. One of our guys at work always does that. For example, the Captain character, you might see him on the screen, he’s the guy in blue. His specialty is support. His heroic ability is support, so when he pops his heroic ability all human units, all human players and all infantry will get buffed and become like “ AHHHH!” and go crazy. So he’s the only character that can have ten infantry at once. I think everyone else gets six and he has access to all six infantry in the game. So he can have his entire loadout as infantry guys. So he can run around, I love doing it, you run around with a little army of guys and they actually just follow you around. I ran around with six rocket infantry this morning and then it blew everything up. I didn’t have to do anything, I just time my buffs at the right time and they would kill everything on the screen. 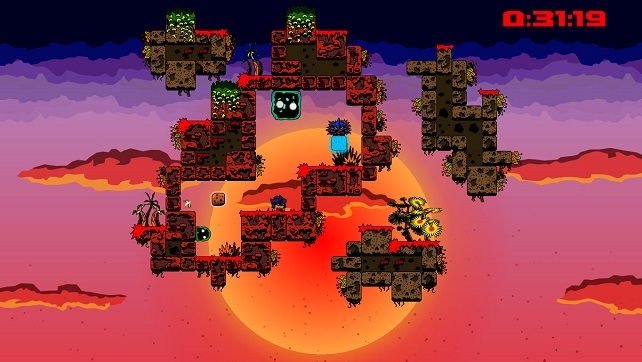 Is there a plan for players to design their own levels? That’s something we’ve always talked about and unfortunately we’re not going to be doing that. Right now we’re going to be designing levels internally. We really want to make the core experience good. We want to make sure we can make the game good and not try to add in features that are just out of our scope. You want to give something that’s solid before you add a bunch of [features]. Yeh. And we’re not going to ship anything that’s not fun. We’re going to make something that we know is fun and really test it to be good. Even if it’s twelve levels, they’re going to be fun levels. We’ve played each one over and over and over and over again. There’s this possibility of adding more levels later, but that’s something… right now we just want to make the game the best it possibly can now and worry about that in the future. And when did you say it was coming out? Quarter one of next year (2016). 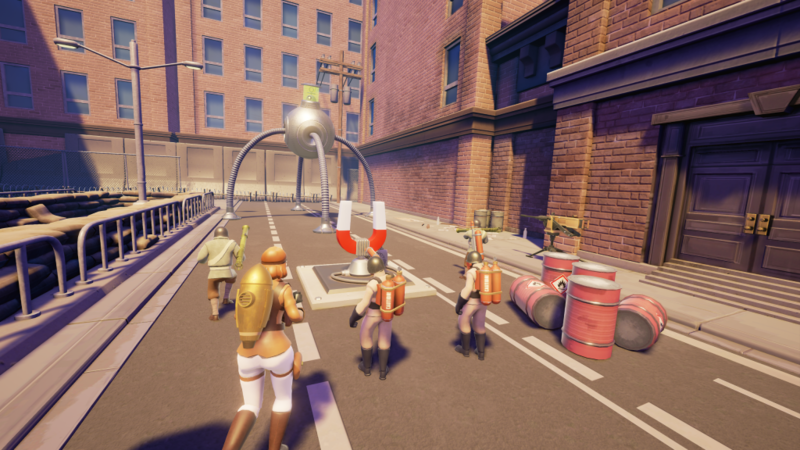 With a mix of WWII, TF2-esque gameplay, a fun 50’s alien invasion movie feel and inspiration from a superhero that wore a skirt and punched robots in the face, Fortified! will be a fun game to play with my pals and depending on the community, maybe even with randoms. I’ll admit that I’ve been wanting to play it again more as I was finishing up this article. It was just some crazy good fun and I like a crazy good time! I had fun playing the PAX version so I’ll likely be picking Fortified! up next year.